I have a cousin. He has been investing in preconstruction condos in Toronto for years and now has about 5 or 6 or maybe it's 7 condos, in various stages from completed and living in, through to still taking more buyers off plans. He often suggests I should get into preconstruction condo investing. Given the mountain of equity he has acheived from preconstruction condo investing, it's getting tougher to disagree with him. According to RBC Wealth Management, people with a networth of $100,000 have 49% of that networth in their home and 5.5% of their networth in other real estate. For people with a networth of $1,000,000 they have 23% of their networth in their home, and 12% in other real estate. For people with a $10,000,000 networth, 8% is in their home, 10% is in other real estate. My cousin and I are clearly not diversified along those lines, he has most of his networth in other real estate and I have most of my networth in financial assets (mostly equities). So it seems it might make sense for me to diversify away from financial assets, and maybe getting some of my networth in 'other real estate' makes sense. It's clear that my cousin made some great investments in preconstruction condos in Toronto in the past and bought at a much lower $/sqft than what the market is currently selling for. The question is, does it still make sense to buy at current $/sqft preconstruction prices? I'm actually considering a particular preconstruction condo opportunity that my cousin has told me about, so I'll use that one as the basis of comparison. 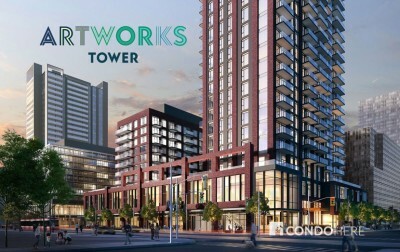 It's the Artworks Tower Condo in Regent Park, Toronto. It's pretty close to downtown and is undergoing a revitalization complete with new soccer fields and a new aquatic centre nearby. 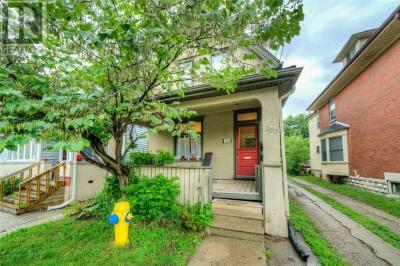 It seems the area is growing in appeal yet still priced below other downtown neighbourhoods. Now we enter the land of assumption. Nafta 2.0 seems to have been agreed to, and most people think that means rising interest rates. Right now one of the best 5 year fixed interest rates you can get is 3.19%. It's anyone's guess what the rate will be by 2021. But a lot of people think the rate will rise 1% by 2019. That would take it to 4.19%. Two more years after that? Who knows, to be conservative, I assume the rate with go to 4.5% by 2021. Then I assume 5 years later the best rate I'll be able to get is 5% and that since its impossible to know, I assume for the rest of the 20 years of the mortgage that it stays at 5%. It seems reasonable to me. For the first five years then at 4.5% interest rate, the mortgage on the condo is $2,353.26. After that at 5% it goes to $2,471.82. Maintenance at other nearby built condos seems to be $0.69/sqft so I assume thats where the fees start and grow at an annual inflation rate of 2%. So maintenance per month starts at $431.25. I'll need owners insurance and I assume tenants won't be perfect, maybe they'll smoke too much weed and I'll need to repaint, maybe they'll punch holes in the walls, maybe they'll microwave metal things... so I am assuming insurance, upkeep and repair of 1/12 of the monthly mortgage per month. So that starts at $196.11 per month. Property tax I'm assuming at 0.7% annually on only 80% of the expected value, assuming the tax man doesn't keep up with current condo prices. So that starts at $291.67 per month. Rent received... well that's the tough one... right now on Realtor.ca the 2 bed 2 bath places I see for rent in Regent Park are renting for $2600 to $2700 a month. Assuming rents increase 3% annually, by the time this building is built that takes it to roughly $3000/month. Of course to get that tenant, I will likely sign up with a service that initially charges me $65 and then charges me an ongoing $62.50/month service fee. I assume rent increases 2% annually from there. So rent received after those charges is $2,873. All those costs against the rent received results in a negative cash flow of $399.78/month for the first year, totalling a negative cash flow of $4,797.38. It reduces slowly overtime as rent increases and turns positive in year 13. Until then I'll have to put more money into the place each year from my own pocket. I assume that cash I have to contribute would have earned 7% if I had invested that money instead, and so there is a lost opportunity cost on that cash that I calculate. I assume when the place is built that the $/sqft value in 2021 is $1000, up from the preconstruction $850. That is based on nothing. Just a hope and a prayer. Interest rates are going up, already I'm seeing detached houses and semi-detached houses sitting on the market longer and reducing their asking prices. Maybe condo prices are about to crash. Who knows? And that's the real risk here. (Of course the guy selling these pre-construction condos told me this investment is a...and I quote... "no brainer!"... when I asked him what the future price per square foot would be on this no brainer investment, he faltered and said "well it's impossible to say"... so I guess by no brainer he means I would need to have no brain to believe this is a guaranteed positive investment. But the believers say this place should be worth $1000/sqft by the time it's built given other condo prices in Toronto. So let's assume that happens. I also assume the condo value increases by 3% annually over the 25 years. But remember, there is a very good chance that we are at the top price for real estate given rising interest rates and how much debt Canadians have. Also given how high rents have now gotten and still aren't covering the carrying cost of the condo, that could indicate prices are too high. So, my gut tells me a correction is coming. But let's go along with my cousin's line of thinking and see what the potential is on this investment if you're a believer in ever increasing real estate prices. By the end of 25 years, with all those assumptions, I will have a paid off property worth $1,270,496 (which works out to $2,034/sqft which is close to current NYC prices, so maybe that makes sense in 25 years). My annual cash flow in year 25 will be $7,870 which isn't much cash flow on a $1,270,496 asset, so let's assume I sell the place for that price and get to keep 95% of the sale price after fees. Due to the 13 years of negative cash flow I will have an accumulated lost investment opportunity of -$76,095. And my initial investment was $120,250. The value I have after 25 years is $1,130,876.11. That's a gain of $1,010,626. Not bad right? Hey if I told you I could take $120,250 and turn it into just over $1,000,000 in 25 years most people would probably want in on that deal. That actually works out to an annual gain of 8.3%. Remember, that's assuming I get rent every month for 25 years straight. That's assuming real estate prices always go up at the rate I assumed, including the jump in value to $1000/sqft by the time the condo is built. That's assuming I never get a special assessment from the condo board due to all the glass windows falling out or water pipes bursting. That's assuming I never get a tenant who sets up an AirBNB and lends it out to a couple of wild and crazy guys. And that's assuming interest rates don't chug even higher than 5% which they could very well do. With all those assumptions in place, the investment returns 8.3% annually. It would do worse if anything went wrong. Assuming 20% down and closing costs, let's say I'm in for $102,980. Since it's an existing building I can lock in now to a 5 year mortgage at 3.5% and then likely get a 4.5% interest rate after that for 5 years and who knows maybe 5% for remainder. Similar assumptions to the ones I made for the condo investment. First month mortgage is $1,856.89. Maintenance I assume to be $300/month growing 2% a year. Insurance and then improvements to the place I assume to be 1/6 of the monthly mortgage, which is $309.48 the first month. Property tax I assume to be 0.7% of the market value. Starting at $271.19 a month. Rent received is based on actual current rents at the place which are $3,485.80 total for the four units. I assume I need to pay 1 month rent to agents each year to find tenants and I assume each unit is vacant for 1 month each year just to be conservative because I assume vacancy rates are worse in London than in Toronto. (They're just slightly below Toronto currently.) So after deducting those two things, monthly rent averages $2905 the first year. That leaves me with positive cash flow of $2,007.24 the first year, growing every year thereafter.. with dips each year the interest rate increases. I assume I invest the cash flow into the market at 7% annual gains. I also assume the property appreciates in value at 3% annually. By the end of 25 years the home would be worth $945,046. Assuming I sell the property and keep 95% of the sale value after fees and assuming I add in the value of the cash flow investments, I will have $1,197,188. That would be a total gain of $1,094,208 over and above my initial total investment of $102,980. That represents an annual gain of 10.3%. In the last 23 years BNS.TO stock price has grown at an average annual increase of 11.7%. Let's assume for the next 25 years it grows at half that rate. That's quite the conservative assumption but let's put that down. In the last 5 years, BNS has increased it's dividend 6.5% on average, so let's assume it keeps growing the dividend at that rate. The current yield on the stock is 4.5%. 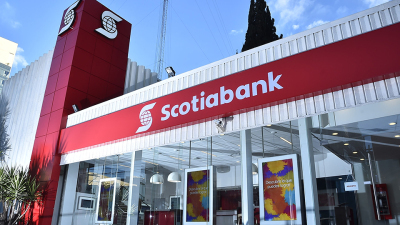 Let's assume every year I take all my dividends and buy more Scotiabank (Bank of Nova Scotia) stock with it after paying 25% tax on the dividends. If my initial investment is $102,980, by the end of 25 years my stock is worth $1,037,878. That's a gain of $934,898. That works out to an annual gain of 9.7%. If we are a little less conservative and assume that BNS.TO stock value grows not at 1/2 the rate that it's grown over the last 23 years but at 3/4 the rate of the last 23 years, that stock would be worth $1,617,017, for a gain of $1,514,037. That less conservative scenario works out to an annual gain of 11.6%. Preconstruction condo gains of 8.3% annually vs. Multi-unit gains of 10.3% annually or dividend growth stock gains of 9.7% to 11.6% annually. I can see why I've gravitated to creating a dividend growth portfolio. Now to be fair, the stock market could go down. There could be a solar flare so powerful that all electronic records of my stock holdings get erased and I wind up with nothing, or big banks get hacked to the same effect. So maybe it makes sense to diversify and hold some real property... some real estate. Now the added bonus of investing in stock vs real estate is, if I wind up with a stock I don't like, in about 30 seconds of clicking on a keyboard and moving a mouse I can sell that stock. Another 30 seconds and I can buy a replacement stock that I like better. It's easy to get out of a bad stock investment. If I wind up with bad tenants, or if the real estate market starts to decline to a point where I won't make the gains I want, or if the neighbours that my condo shares walls with start annoying my perfectly good tenants to the point where it becomes difficult to rent out my unit, then it's a lot more difficult to get out of the real estate property. The price to get out of a stock is $9.99 no matter if I have $100 or $1,000,000 in it. The price to get out of a property is 5% to real estate agents and whole bunch of other fees. On a $1,000,000 property that's over $50,000 in fees. Without a doubt, real estate is messier than a stock investment. I don't have to paint the walls at a Scotiabank branch. I don't have to call a plumber if the toilets back up at the Scotiabank head office. I just hold the stock and everyone else does all the work and then they pay me a growing dividend. It's easy. I've seen people have good and bad experiences with rental properties. For my own portfolio I believe the potential gains are close enough to stock gains that for me it may make sense to diversify my overall networth by getting some exposure to real estate. I already have enough of a concentration in stocks. Perhaps going for both real estate types, a preconstruction condo and a multi-unit property in London will allow me to average out the annual gains to 9.3% between the 8.3% gains of preconstruction condo and the 10.3% gains of the multi-unit London property. The only question is when to invest in real estate? Buying at the top is never a good thing. Considering the condo I looked at doesn't provide positive cash flow, it's a good indication that I would be buying at the top if I were to buy right now. There is no rush. Perhaps waiting to buy when condos provide positive cash flow is the right way to approach getting into an investment condo. The multi-unit in London provides positive cash flow currently and so that seems like a better investment right now. In the meantime, I think I'll take 30 seconds and buy a little more BNS.TO. Be a SmarterSquirrel... Save. Invest. Enjoy.